Click the button below to add the Iron Chandelier "Fresno" to your wish list. This custom made iron chandelier is produced in various sizes and rustic color options. 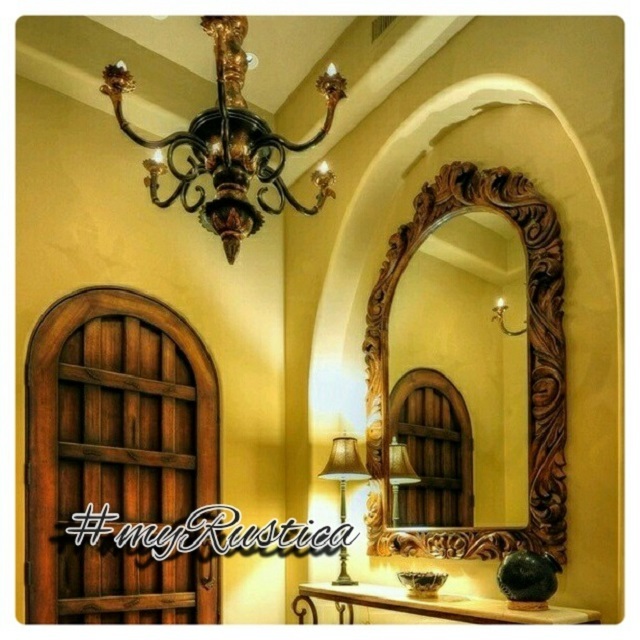 The chandelier "Fresno" comes with rusted finishing, natural or as black iron. It is often used for illuminating high ceiling living rooms, foyer and house entries. Lamp #0019 can be hand crafted in custom dimensions up to seven feet in diameter. The price of iron chandelier in a custom size depends on the measurements and a number of light fixtures. Production and delivery takes up to five weeks. We recommend using a licensed electrician for the hand crafted iron chandelier installation. This lighting fixture is available in various standard sizes or as custom made. To begin buying the chandelier #0019 choose a desired finishing. It can be rusted, natural or black iron. Natural type is industrial modern looking despite the lamps old European styling. Rusted metal corresponds best with rustic home decor and black iron is quite neutral. It can be used for decorating any style interiors. Next, select the diameter 36, 42 or 48 inches. The price depends on the chandelier dimensions. Its color doesn't impact the cost. Once all options are selected proceed to the site checkout. It will added to the invoice delivery cost based on the chandelier "Fresno" size and destination zip or postal code.